Maredsous Triple is served in the abbey on special occasions. Its elegant smoothness hides its alcohol content and makes it the connoisseur's beer. Maredsous Triple is a golden-bodied Belgian Triple, redolent with festive sparkle, creamy body, and a luscious head. It's elegant smoothness belies teh strong alcohol content. You'll revel in its balanced, long and warming finish. The Maredsous Abbey stands for values such as patience, devition and hospitality. Those values still live on in the beers we brew. Past and present merge in our abbey, adding to its appeal. 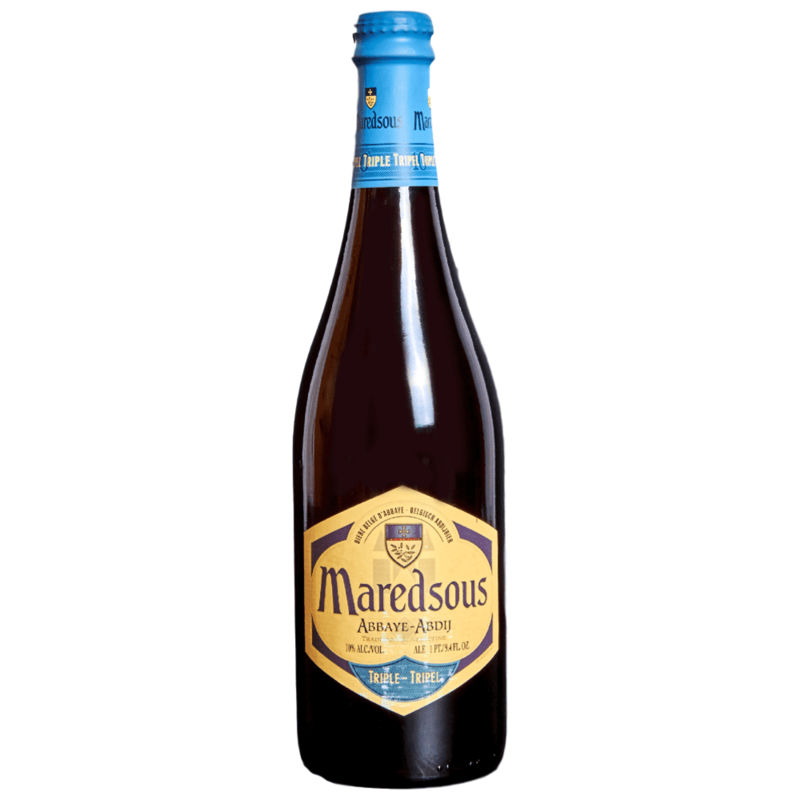 The Maredsous beers represent the rich Benedictine tradition.